Reminder! There’s still time to respond to the member outreach survey. Please take a few minutes and respond. 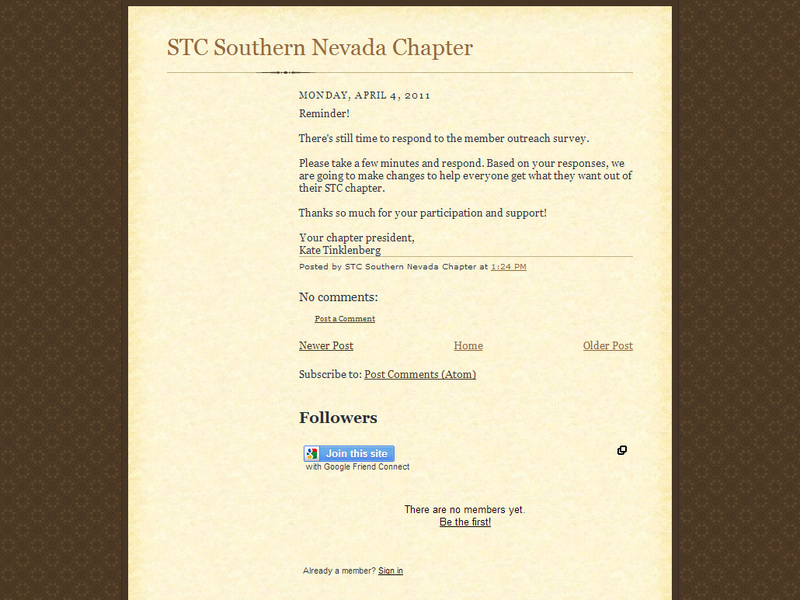 Based on your responses, we are going to make changes to help everyone get what they want out of their STC chapter. Thanks so much for your participation and support! Reminder! The April chapter meeting will not be held next Wednesday, April 6th. 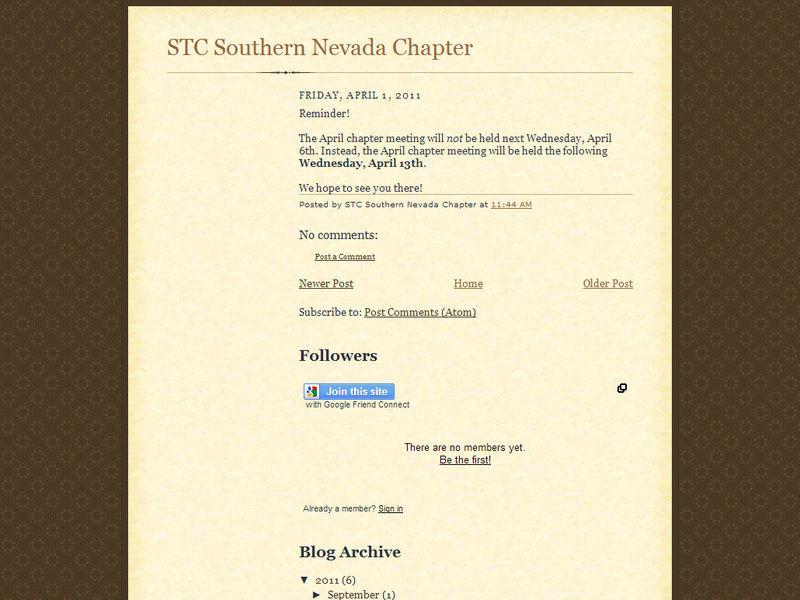 Instead, the April chapter meeting will be held the following Wednesday, April 13th. We hope to see you there!